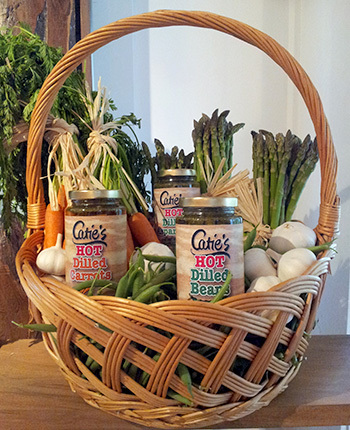 Catie’s is an artisan food producer. Using all natural ingredients, Catie’s makes a variety of specialty pickles, salsa, hot pepper jellies and fruit jams onsite in its commercial kitchen next door to the store. Catie’s gardens produce raspberries and herbs, while most vegetables and berries are sourced from Qualicum area growers.